At a press conference held in Tripoli today, UNSMIL head Ghassan Salamé announced that his planned National Conference (@Multaqa.Libya) will be held from 14 to 16 April at the neutral city of Ghadames. Salame said that there would be between 120-150 delegates at the event, all Libyan and representing all components of Libyan society. He added that all attendees will be Libyan as there would be no foreign parties present at the Conference. 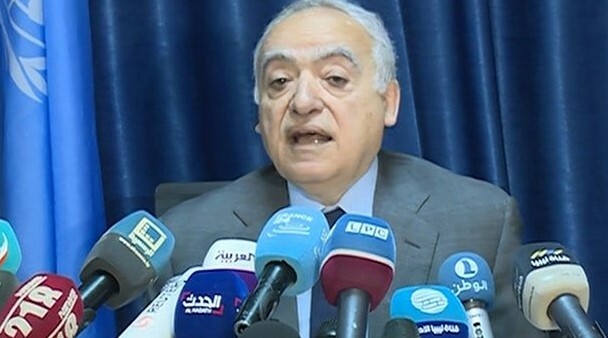 Keen to allay the fears and suspicions of the two Libyan Political Agreement bodies, and to secure their attendance, Salame stressed that the Conference will not be an alternative to existing representative political institutions such as the Presidency Council, the House of Representatives (HoR) and the High State Council (HSC). However, in a thinly veiled threat, Salamé also said that if the HoR and HSC did not respond to the demands for elections of the silent Libyan majority of over 85 percent – he would find alternatives. Adding to the intrigue about what was really agreed at the meeting, Salame came across as lukewarm when asked about the Abu Dhabi Haftar-Sarraj meeting. However, he indicated that there would be further meetings between the two. His emphasis that the National Conference will not have executive powers is designed to reassure the HoR and State Council and ensure that those from it who were invited – would attend.